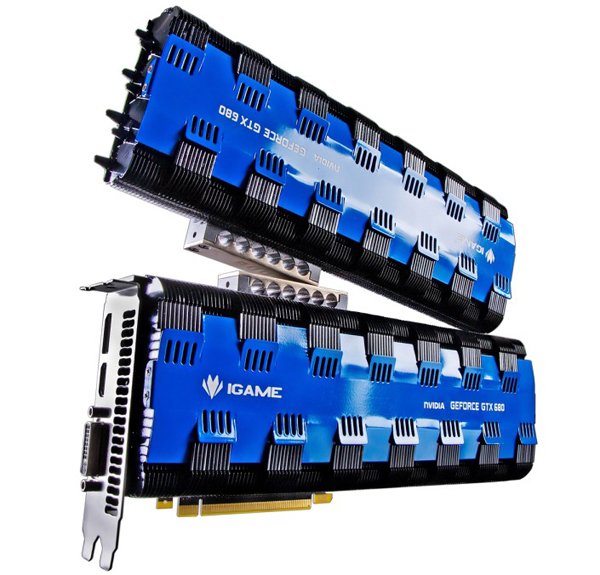 Colorful has in the past come up with a large variety of excellent GPU cooling solutions for its iGame series graphics cards. This time however they came up with the world’s first zero noise passive heat cooled GTX 680 graphics card. 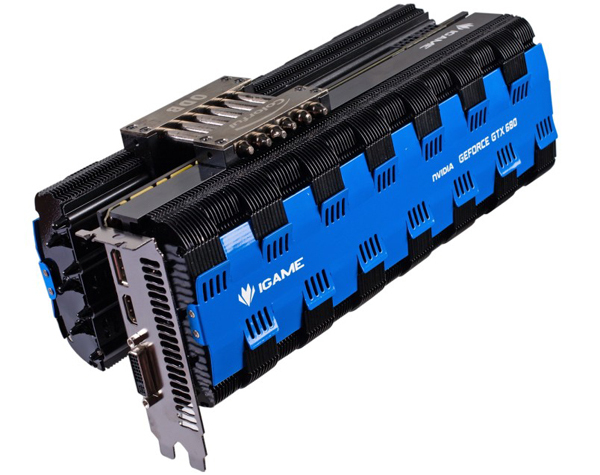 GK-104 based graphics card uses a mammoth Passive heatsink design composed of two modules namely the front and back module that are both connected with a total of 6 heat pipes with an overall of 20 heat pipes across the whole cooler itself. Each heatpipe is of 6mm in diameter and made from copper for the best heat dispersion possible. There are a total of 280 heatsink fins that cover an area over 20000cm sq. No clock speeds, price or launch dates have been given yet.